BitGive Donation Transparency Platform is Underway! BitGive is at the cutting edge of leveraging technology for the nonprofit sector! As part of this mission, we have begun the development of the Donation Transparency Platform to revolutionize philanthropy using blockchain technology. Please click the link to learn more. Thank you to our early donors Rodolfo Andragnes and CoinFabrik for supporting this project and for future pledges from the Goldschmidt Foundation and Matthew Roszak! 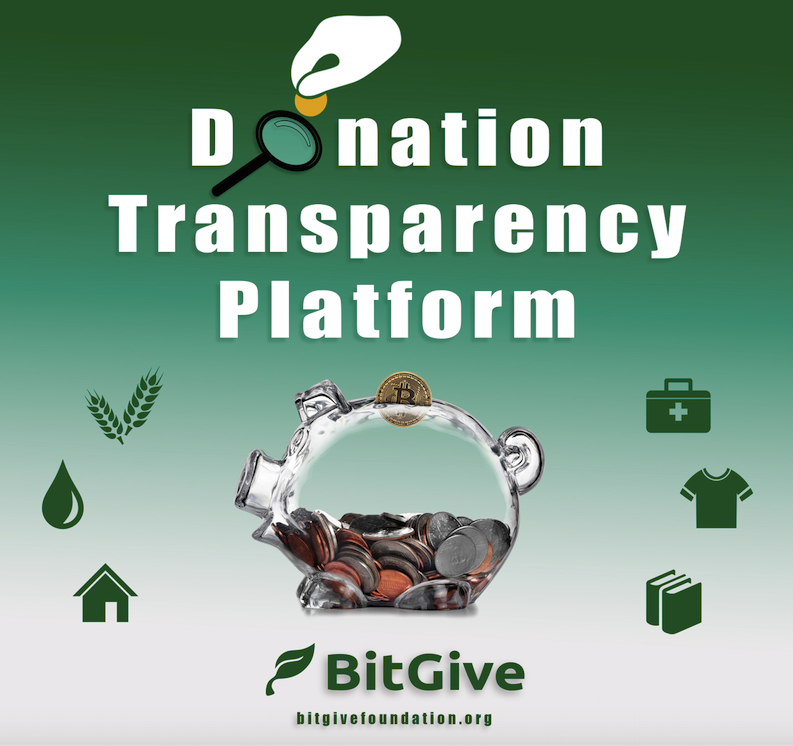 Would you like to support BitGive’s Donation Transparency Platform and our mission to drive innovative solutions to global philanthropy via Bitcoin and Blockchain technology? If so, you can become an annual Sustaining Donor, an Individual Member, or make a one-time donation to BitGive anytime to help us succeed! See our Get Involved page for even more ways to support BitGive!